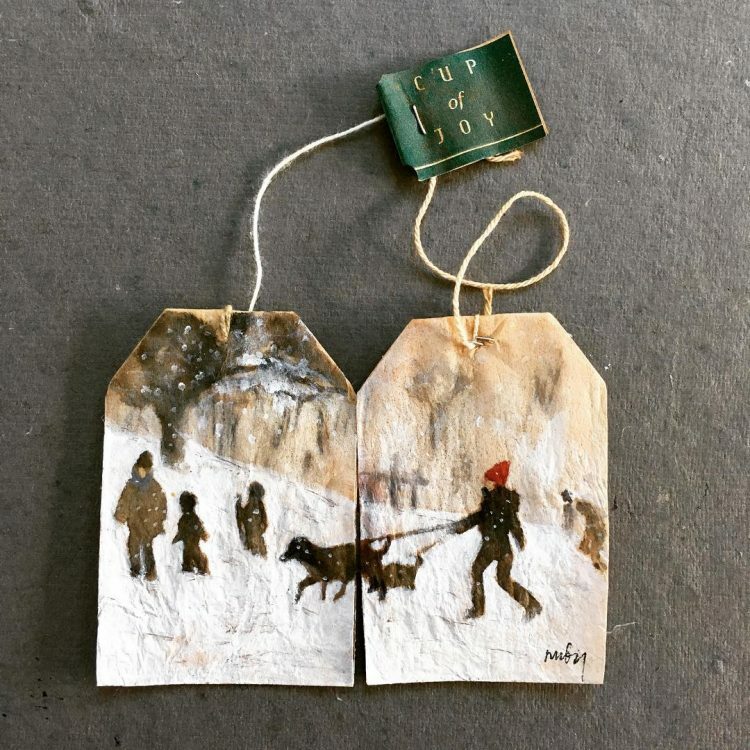 Most of us see used teabags as stained, soggy pieces of trash, but to visual artist and graphic designer Ruby Silvious they are miniature canvases just waiting to be turned into artworks. 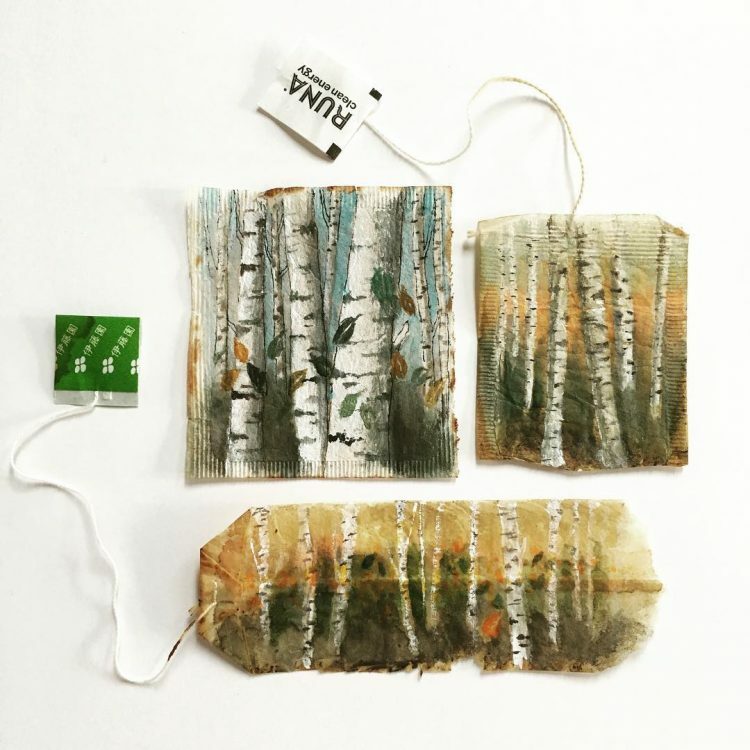 Three years ago, Ruby Silvious came up with an ingenious way of combining two of her favorite pastimes – painting and drinking tea – by using the used teabags as small pieces of canvas. 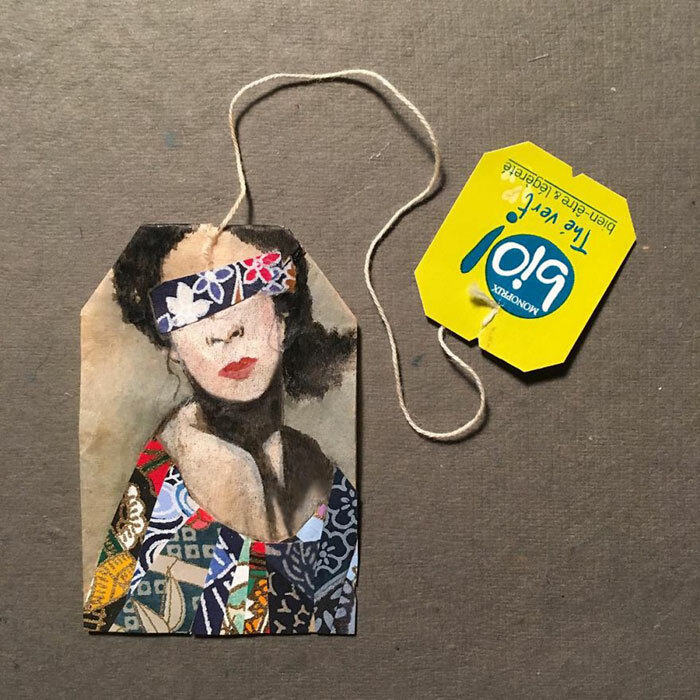 She started a project called 363 Days of Tea, creating a unique teabag painting every day for 363 days. To the New-York-based artist, it served as a sort of daily diary, allowing her to record her feelings and thoughts as whimsical miniature illustrations, but also compelled viewers to re-evaluate their views on found and recycled materials. 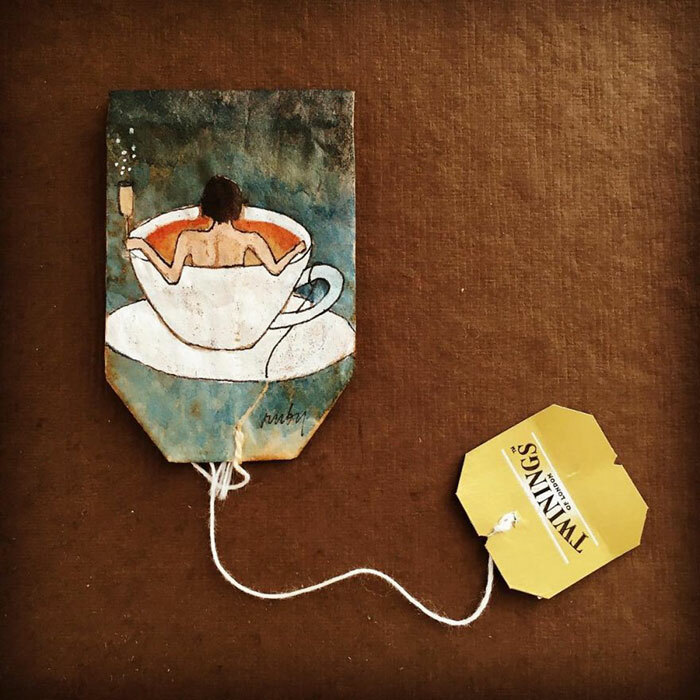 Once Silvious’ friends and family learned about her project, they started sending her teabags of all shapes and sizes, most of which ended up as part of 363 Days of Tea. The artist even came up with ways of incorporating the steeping stains on the used bags as part of her whimsical designs, which ranged from everyday objects like mugs and umbrellas to detailed portraits and landscapes. 363 Days of Tea garnered a lot of attention both in the art world and online, and prompted Ruby Silvious to continue exploring the unsual medium. In 2016, she started two new projects, 52 Weeks of Tea and 26 Days of Tea in Japan, and last year she continued her artistic journey into the world of used tea bags with 26 Days of Tea in France. For the last two projects, she traveled to Japan and France for a month-long session of painting and tea drinking. 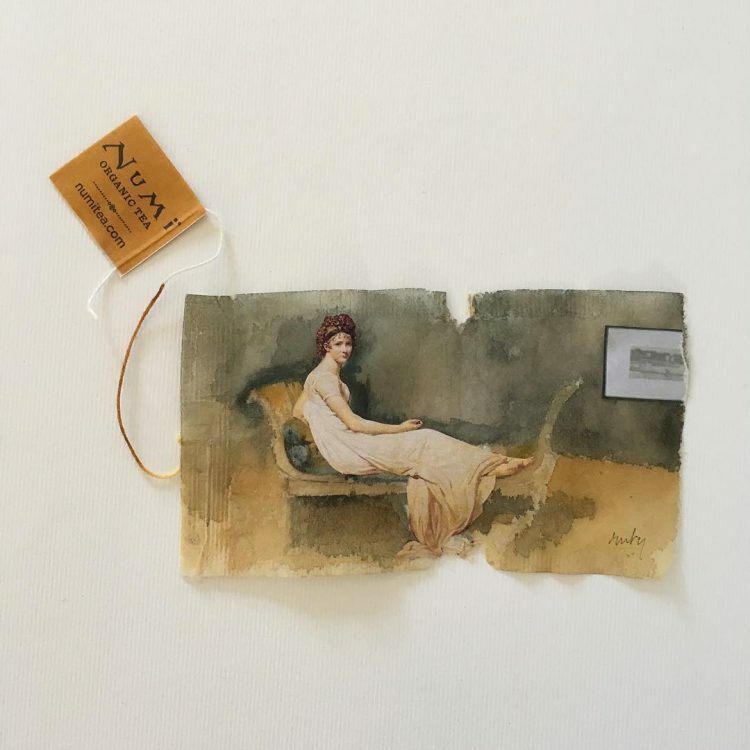 Ruby Silvious has displayed her unique miniature paintings in galleries around the U.S. and constantly posts her newest works on her Instagram page.